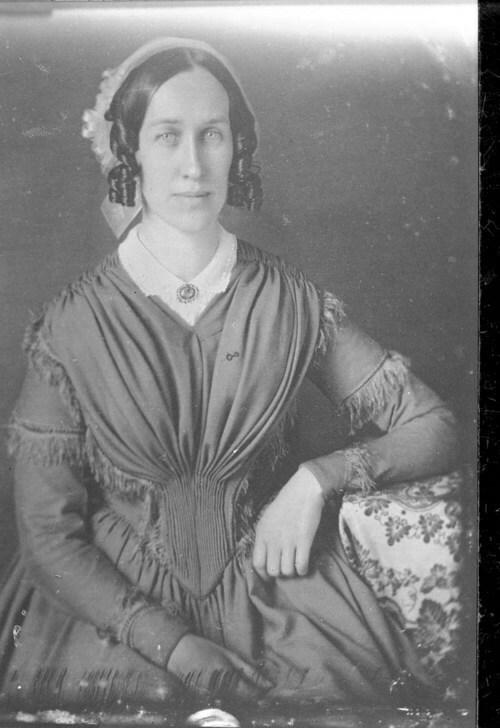 Portrait of Clarina Irene Howard Nichols, 1810-1885. Nichols and her husband settled in Quindaro, Wyandotte County, Kansas Territory, where she was active in politics and women's rights. Nichols attended the Wyandotte Constitutional Convention in 1859, where she secured for Kansas women liberal property rights, equal guardianship of their children, and the right to vote on all school questions. Susan B. Anthony paid tribute to Clarina Nichols in her book, "History of Woman Suffrage."